I had my first experience with them last year when I traveled to the Dominican Republic. At first, I was a little annoyed by these persistent merchants, but after a few hours (and a few mojitos) they started to gain my respect. Having worked in direct sales myself, I could empathize with their uncompromising enthusiasm in the face of rejection as the hot sun beat down on their backs. The next time one of them visited our hut, I finally caved in and asked to see his selection of sunglasses. After some fun haggling in broken English, I came out with a brand new pair of "Ray-Ban" sunglasses - or at least they looked like Ray Bans. I felt like the coolest guy on the beach with my new shades - until the next day when one of the lenses fell out and the arm broke off. You get what you pay for, right? Needless to say, I will pay full price for my sunglasses from now on because I am prioritizing quality over price because of a bad experience. Many businesses have this exact same apprehension when it comes to purchasing remanufactured toner cartridges for the printers in their offices. A poor quality cartridge may have exploded, produced terrible quality documents or even ruined their printer - and they swore to themselves: "Never again!". I can't say I blame them - it is a very logical response. You know what they say: "Fool me once..."
That being said, not all remanufactured toner cartridge are built the same, and not all salesman will be looking to sell you a low-quality product and then run off into the sunset (literally, in my example). Used in the correct setting and bought from the right manufacturer, these toner cartridges can dramatically lower your printing costs while consistently producing high quality documents. But how can be sure that you are in fact buying a reliable toner cartridge from a remanufacturer? Furthermore, how can you be sure that "reman" toner is the appropriate choice for your particular printing environment? 1.) Is The Cartridge Built by Robots or Humans? A good rule when purchasing remanufactured toner is to only buy from companies who produce their toner cartridges using robotics, not humans. I don't mean to discount the effort of the men and women who work hard every day to produce reman toner cartridges. But, the fact is that the most talented, hard working human will never produce the same consistency and quality with manual labor as an Automation and Robotics Engineering team can. 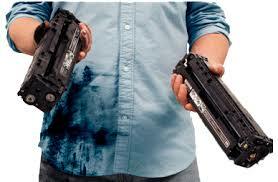 Human error accounts for the majority of remanufactured toner failures. Even if they are PERFECT for 95 out of 100 cartridges, do you want to run a 5% risk of ruining your print job? Probably not. Using robotic engineering also reduces the cost of toner, meaning that you receive great pricing because of efficient manufacturing, not because of poorly built components and cutting corners in the production process. Are they employing a team of mechanical and electrical engineers to develop of all circuitry, pneumatic diagrams, and electronic controls for robotic and automation machinery used to build the cartridges? Does their process include 3D component scanning, modeling, and animation to ensure quality products time after time? Are they ISO 9001 certified, meaning their assembly process is automated and repeatable? If their VP of Operations quits, they need to be able to continue the manufacturing process without skipping a beat. The bottom line is that there is a VAST difference in the quality of toner cartridges you will find on the market. It is very important that you find out if the cartridge you are using is made in a state of the art technology center, or a garage style warehouse in China. It's like the difference of buying real Ray Ban sunglasses that will last forever, or the ones that break off your face while you're trying to do the Macarena on the beach. See that guy on the left? He's upset that he bought the wrong brand of reman toner and it's totally affecting his moves. Don't be that guy, you're better than that. 2.) Do They Prioritize Research & Development? Another good idea is to research the manufacturer beforehand to see how much they invest into research & development initiatives. Research and development should be a priority for any reman toner provider if they hope to remain competitive in the ever-changing market of printing supplies. Large OEM manufacturers like Xerox, Lexmark and HP are constantly trying to make life difficult for reman toner brands by constantly releasing new models and making toners more difficult to replicate. Naturally, they want you to spend more money and buy their OEM cartridges, which is where they make most of their profit. To be able to compete with these industry giants, your reman toner supplier needs to have the capital to constantly innovate and develop new products. They must do so quickly, or else they risk sending out low-quality products into the marketplace so they can keep pace. To be clear - OEM products are a higher quality product without a doubt - they have shown to have lower failure rates and there are some circumstances where you should only use OEM toner (we'll get to that in Part #2). 3.) Have Their Cartridges Gone Through Advanced Life-Cycle Testing? "We're pretty sure the brakes work properly, and the transmission will probably hold up just fine. They haven't been tested, but we use the best components we can find so you should be all right." Doesn't inspire much confidence, right? Environmental: how well does the toner perform under different temperatures and levels of humidity? You should know these things before you spend your money - especially in a climate like we have in Atlantic Canada, where the weather experiences so much variance on a daily basis. Media: does the toner perform well when printing on labels, envelopes, and other non-traditional media types? Some low quality toners do not adhere properly to unique media types. Print Speed: can the toner adhere to the page properly when faced with high printing speeds on a consistent basis? The last thing you need is for the cartridge to fail when sending out last minute proposals or processing month end invoices. Pre and post production quality control testing is an absolute must. It can mean the difference between a perfect document and a dress shirt full of toner. So now you know some good questions to ask the person selling you remanufactured toner, but how you can be sure it is the right choice for your printing environment? Let's get one thing straight: Remanufactured toner is NOT a good idea for every office.You need to look into a few key factors in your printing environment before deciding if it is the right choice for you. 1.) How much color printing are you doing in your office? Are you producing color documents often? While the industry has come a long way in their ability to produce high-quality color cartridges, they do have a higher failure rate than the monochrome cartridges. They are ok if the extent of your color printing is a corporate logo at the top of a letterhead or infrequent color photos. 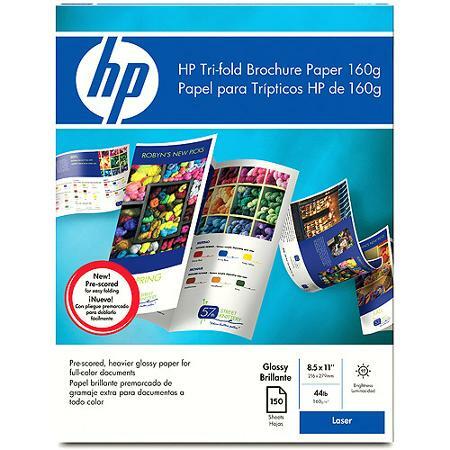 But if you plan on using a color printer to produce marketing materials or other documents that your customers will come in contact with, my suggestion would be to stick with the OEM products. If you do use remanufactured color toner cartridges, make sure not to mix them with OEM toners in the same printer. For example, do not use an OEM black toner in the same machine with remanufactured Cyan, Yellow and Magenta toners or vice versa. It will produce inconsistent quality and is not good for your printer's health. 2.) What brand and model of printer are you using? Reman toner should not be used in certain printers, as they have a proven track record of failure. A couple examples would be the HP 5500 and 9000 series, which should only use OEM toner because their compatible versions were never quite perfected for whatever reason. Most Managed Print Services providers will be very open about which remanufactured toners to avoid since they are on the hook if anything goes wrong in your printing environment. But you can never be too careful, and doing a quick Google search on your printer model may give you a hint as to whether you should try out reman toners or not. 3.) How catastrophic would a toner failure be to your bottom line? As you may have realized by now, the range of remanufactured toner products on the market vary greatly in terms of quality. Some remanufactured toner providers separate themselves from the pack by producing near OEM quality. However, even the highest quality reman toner will still have a slightly higher failure rate compared to OEM toner. It's not a huge difference, but it is something to keep in mind, especially if you work in a high-pressure environment where tight deadlines and impatient clients are commonplace. You have to weigh the risk of interrupting key business processes (even if they happen rarely) against the benefit of lowering your cost of operation. Some companies will buy reman toner for the majority of the office, but supply certain key staff members with OEM who cannot tolerate the risk of toner failure at an inopportune moment. So there you have it, your complete guide to buying remanufactured toner to save money on your printing costs. I hope you found this article to be informative, and please feel free to share it with your peers if you think they will find it useful as well. For more detailed information on a high-quality toner remanufacturer, you can check out Clover Imaging Group's website. They are the world's largest remanufacturer of toner cartridges, and they are the exclusive supplier of reman toner cartridges at Datarite Intelligent Printing. Thanks for checking out my latest post. If you liked it, you can find the rest of my articles here. Newer PostAre You Reaching Your Full Potential?